I like slowly changing sound textures. This module provides two very low frequency oscillators - the main oscillator giving three sine waves down to 12 minutes per cycle, and an auxiliary single-output modulation oscillator going down to around 7 minutes per cycle. Single sinewave output (diode-shaped triangle) - triangle available via component substitution. 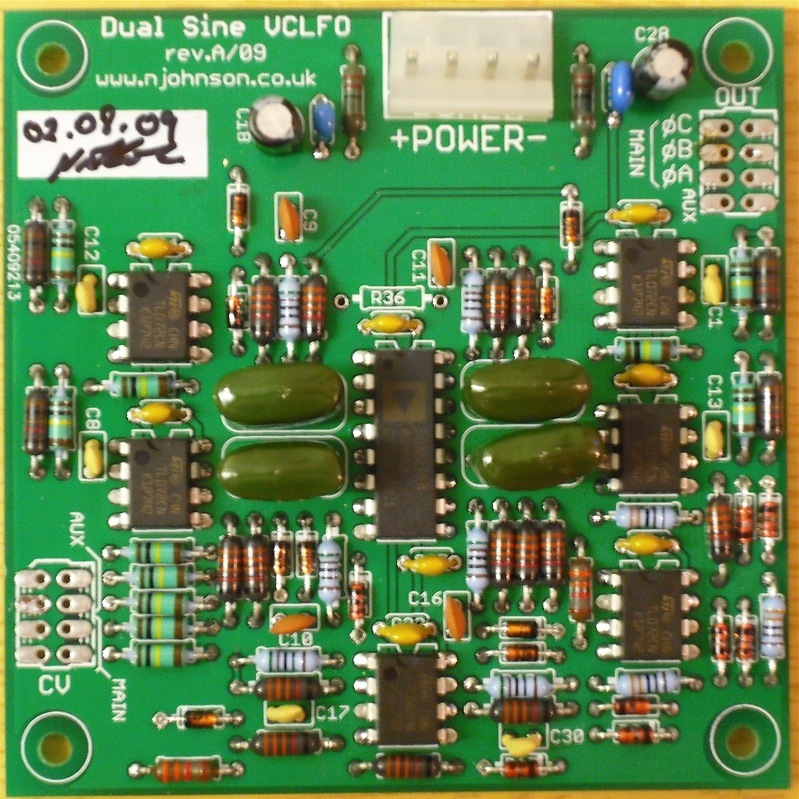 Dave Brown's Dual VCLFO page describes his construction of this module. He presents three variations of MOTM-compatible front panels. Well worth reading.